Tiger Ausf. B on the field. All I got so far. So, OVA 4 is going to have seven episodes. One of the things which I am hoping from OVA 4 is Sasami going to school. While Sasami is the age where she legally has to go to school in Japan, her main reason for going to school is for social reasons. 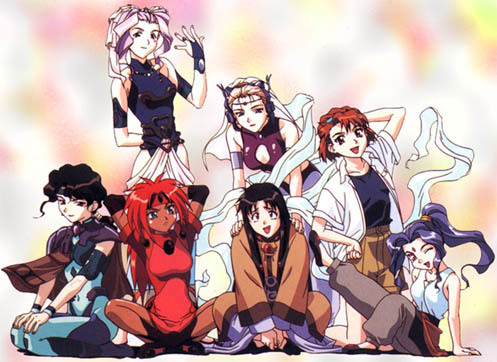 I'd still like to see the Shin Tenchi Muyo! novels animated. @Dr. Soviet -- where'd that information come from? Some of my twitter friends attend the Tenchi events that they have in person. Well, thanks a lot for keeping us updated. Also it seems like he's really trying to integrate the GXP novels. and the Minaho bathing scene is probaly from the image he drew in the past. Could we be seeing an episode by the end of the year or early next? the ED song has been chosen! Means we are getting close! How month it would have between each episode? 1 month? omg finally so EXCITED I CANT WAIT!!! !